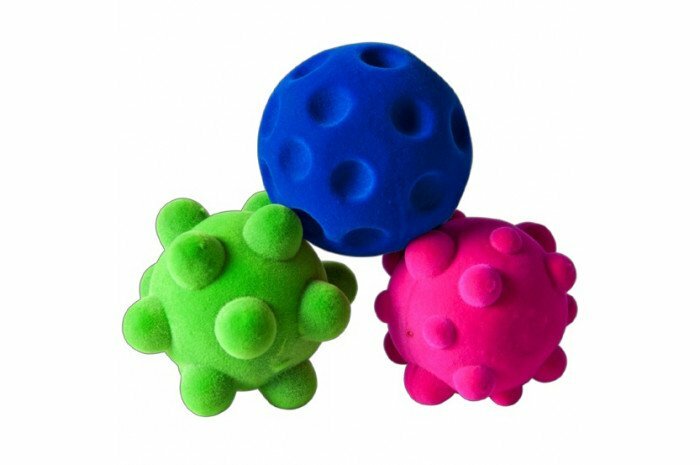 Set of three textured tactile balls in bright colors and shapes are soft and fuzzy. 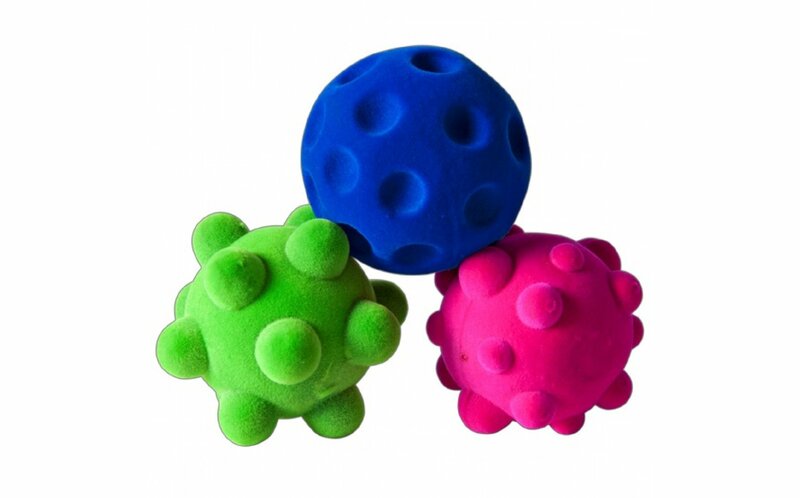 We love the feel of these stress balls and the varying resistance of each ball. Includes three 2.5" diameter balls in a gift box. Pink, blue and green. 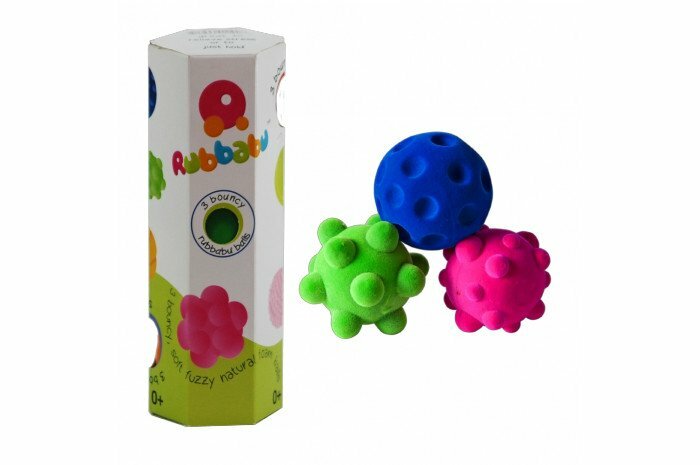 Made from natural rubber foam.